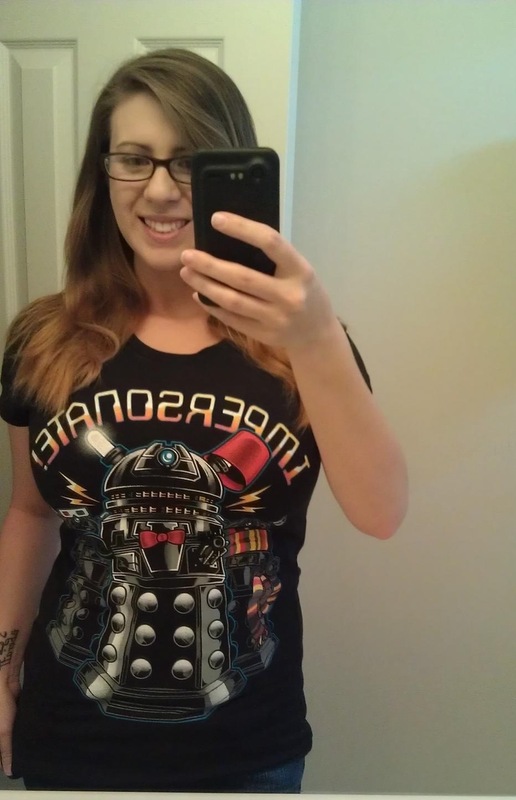 I could not resist this shirt when it came across TeeFury for two reasons, I like Daleks and I love Daleks in costume! Beautiful women there in an awesome shirt! Beautiful woman in an awesome shirt!